Floreat! A word that every Kings College boy reacts to no matter where they are in the world. I had heard it a couple of times and always wondered what it was about that word that got them so excited, and I got my chance. I was lucky enough to have an appointment around their annex campus, and while I was excited that I was so close to the school, I was a bit hesitant about going in. After a bit of prodding and encouragement from a friend of mine, I summoned up courage to go in and it ended up being a good decision. When you enter Kings College, the first thing you notice is boys scurrying around to get to class in their white uniforms, or going about their daily chores, but never failing to say ‘good morning’ or ‘good afternoon’ as the case may be. I don’t remember one boy passing by me without greeting which was surprising. 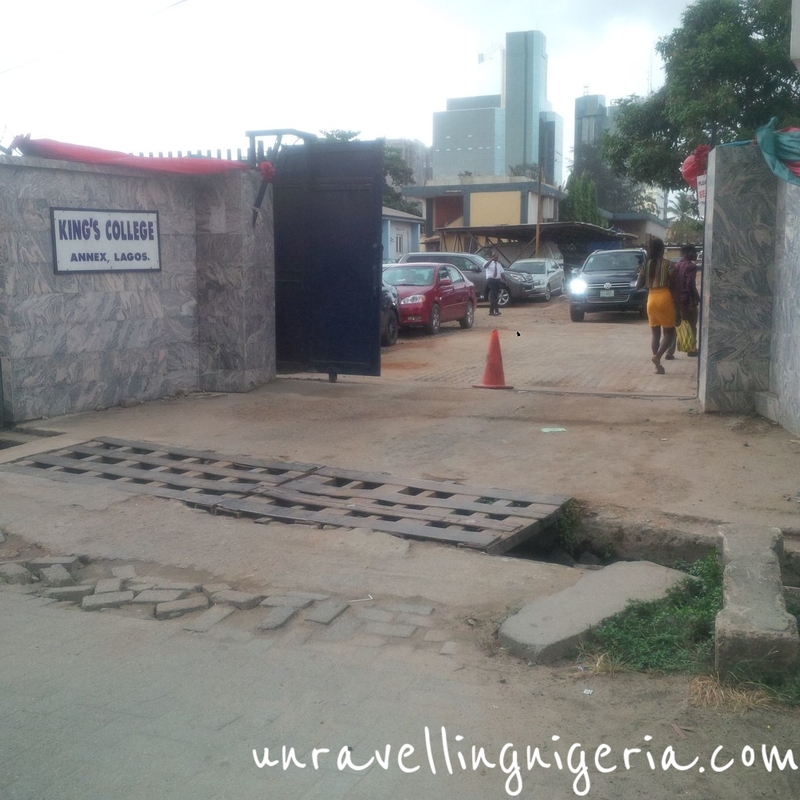 The annex campus which is Victoria Island and is for the juniors (JSS1-JSS3), is the more modern of the two as it was created because of the increasing pressure to have more space for students being admitted into the school. It used to be the premises of former Federal School of arts and science. For a school that started with only 10 students, it has flourished and has over 3000 students and even more aspiring to be admitted into the school. For the JSS1 classes alone, the applications hit over a thousand. I wonder if the school knew the impact it would have on the lives of these young boys (who I like to refer to as young kings) when it was created. Kings College’s reputation was and is so great that people from all over came just to write their entrance exams, and would be disappointed about not getting in. Some families, are known to have sent every male in each generation there, for example the Akpatas who have had 19 of their boys attend the college starting from the year 1916 to 1999. And they have a plaque to show for it. Mr Nwaizugbe pn the VP of special duties annex was kind enough to let me take pictures and along with the Principal Otunba Oladele Olapeju reminded me of their upcoming inter house sports which was held at the main campus. It was their 95th inter house sports. They said, ‘if you want to get the feel of Kings College, you must come to the main campus’. They weren’t wrong. When you step into the main campus of the school, which has the senior section (SS1-SS3), you immediately see the colonial touches in terms of the buildings an layout. Everything still remains the same except for the new structures being put up at the back. For me, it felt like I stepped back in time. I closed my eyes for a minute and tried to imagine what it was like back then. Everyone was in high spirits when I got there. All the juniors had been transported from their campus to the main one and you could see some of the students practicing for their march past. While I walked around taking pictures, one of the SS3 boys, Esosa offered to show me around and I think it took courage to do so. One thing I learnt from talking to them all, both juniors and seniors, they loved Kings College and if they had to choose all over again, they would come here. 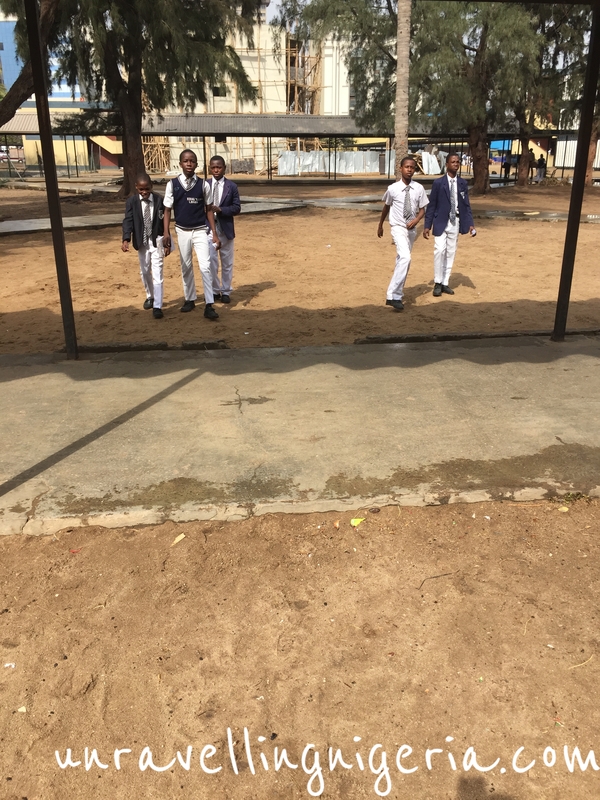 Esosa told me that the SS2 boys were the ones who marched for inter house sports, and the different groups took part eg boys scouts, cadets, red cross etc. They are divided into 4 houses, Hyde-Johnson (red), Harman (green, Panes (blue) and McKee-Wright (yellow). All named after past principals of the college. I thoroughly enjoyed the marching and even found myself cheering for a particular group. The races, high jumps and acrobatics were also one to watch. And later on the visiting schools also took part which included their sister school Queen’s College. It was also a nostalgic as I remembered when I was in secondary school and how inter house sports was a huge deal for us. A little friendly competition never hurt anybody. Mr Nwaizugbe also told me Kings College was part of Le Geca – Lagos 1st generation colleges association and they usually held football competitions and had collaborations. The surprise of the day was bumping into a friend who is a KCOB (Kings College Old Boy). He said all KCOBs are usually invited to the inter house sports and he tries to make it. At the end of the day, I enjoyed spending time with these boys, hearing their dreams for the future. 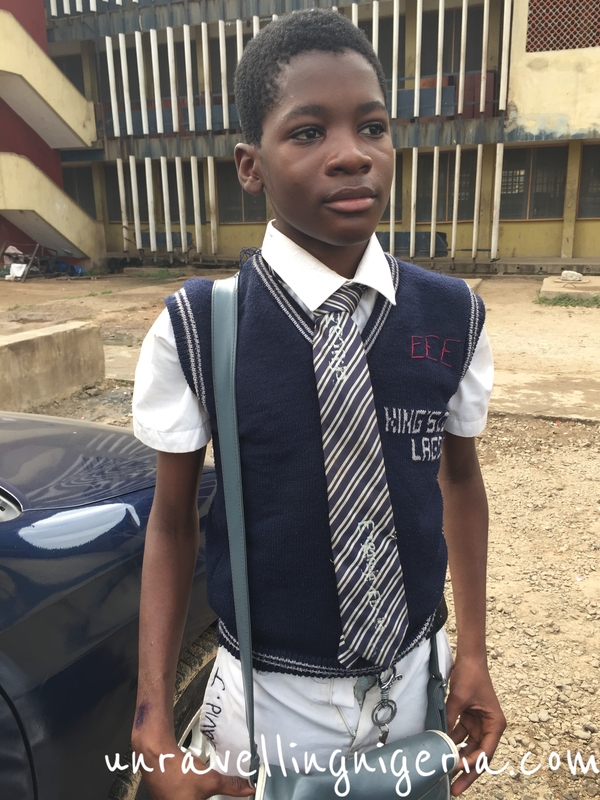 From little Ahmed in Jss1 who wants to join the army to Hanson in Ss3 who wants to study finance. Kings College has the most vibrant alumni in the country and who would be surprised. During their 106 years of existence, they have churned out greatness. From Vice presidents to the former Governor of the Central Bank of Nigeria. Their alumni includes the likes of Emir Sanusi Lamido Sanusi, Alex Ekwueme (former vice president of Nigeria), Odumegwu Ojukwu (head of state of former Biafra), Bukola Saraki (Governor of Kwara State), Cobhams Asuquo (Leading African music producer), Hakeem Belo-Osagie (CEO Etisalat), Chief Anthony Enharo (journalist, democracy advocate) etc What other persuasion would a parent need to send their son to a school like this. Kings College doesn’t seem like your typical tourism post, but tourism and history go hand in hand. For the same reason you would go and visit Cambridge university, Havard or Oxford is the same you must visit KC. While it could do with touch ups here and there, so that it doesn’t remain a shadow of its former glory, it still produces kings like its name implies who go on to do great things. And if you’ve ever wondered why Kings College is a name that still exists despite everything, it’s because their history isn’t one that can be easily forgotten. 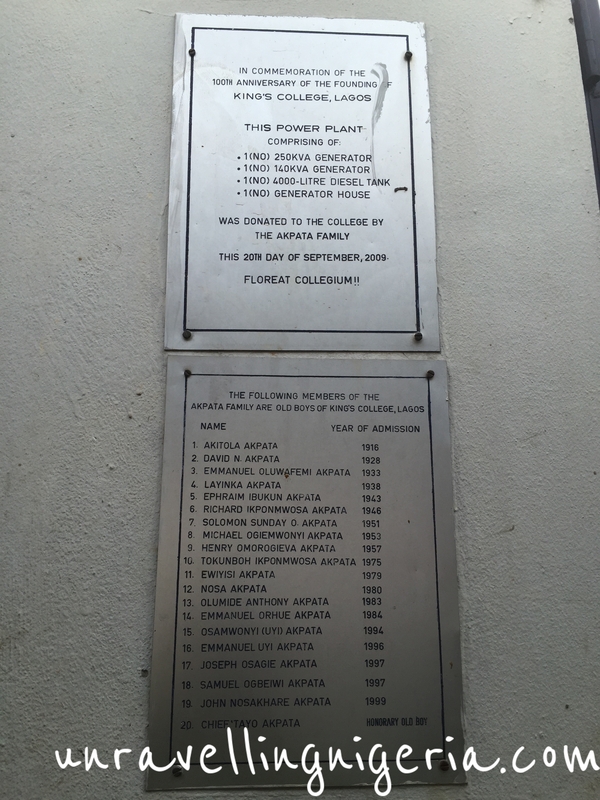 From their first principal Mr Lomax to their current one Otunba Oladele Olapeju, they’ve al tried to make sure that its purpose for creation is still being carried out today. If a man/boy hears floreat, no matter where he is, he will stop and find out who has said it, it is a form of recognition among them. Floreat Collegium – That is their motto and if it is to be translated, it is simply telling these group of young men to go forth and flourish. Enjoy touring Kings College through the pictures and you can catch a bit of the marching, running and the excited atmosphere in the video below. You can visit their school website here. Note – the first set of pictures are from the main campus and the latter from the annex.. You’ll notice the change from colonial to modern buildings. Remeber doing this in secondary school? Hi I wanted to obtain your permission to use a few of your photos (1 -4) for a booklet we are making for King’s College Old Boys Assc.. The photos would be credited to unravellingnigeria.com.